Need more protein? 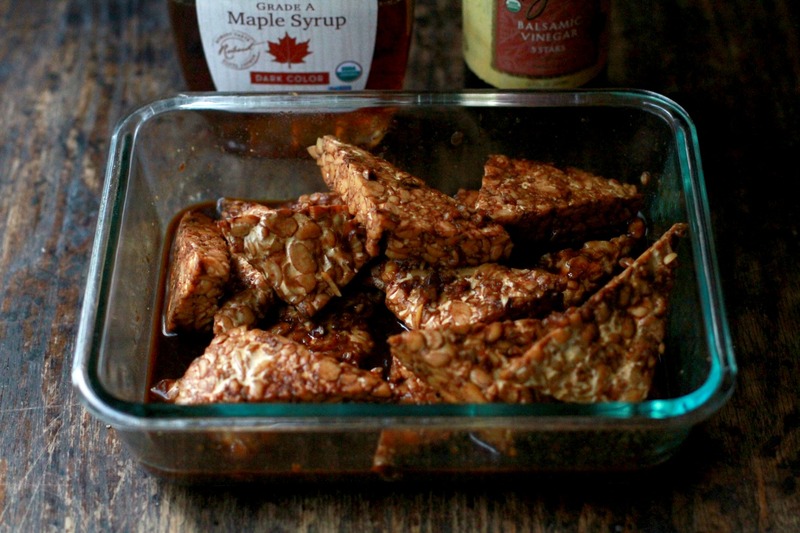 Try Maple Mustard Roasted Tempeh! 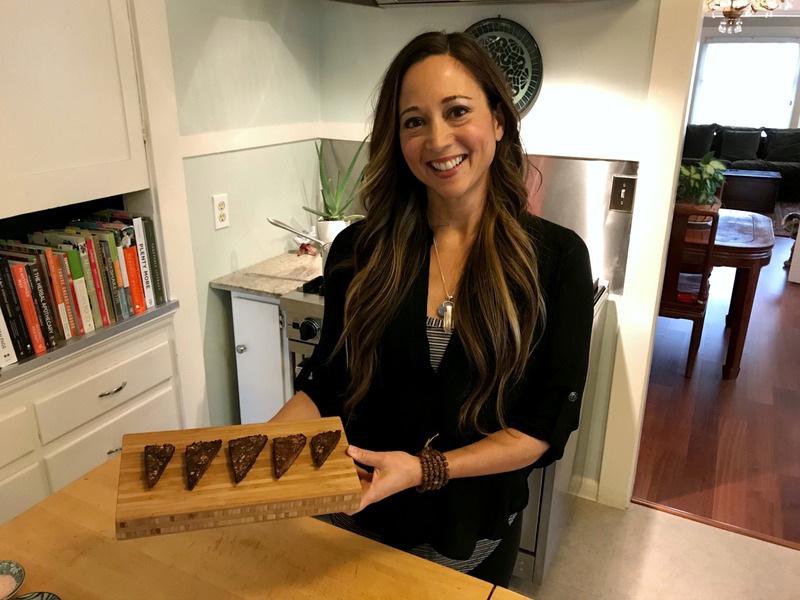 Recently on More Good Day Oregon, I made one of a sweet and smoky Maple Mustard Roasted Tempeh. Tempeh is one of my go-to proteins. This recipe is perfect for barbecue lovers — it uses maple syrup, balsamic vinegar, and mustard to bring traditional barbecue flavors to this nutritious and versatile plant-based protein. Now, you may be wondering… what the heck is tempeh?!? I get it. Tempeh’s not exactly what’s-for-dinner in the U.S., but it should be! Back when I was in grad school, they used to serve tempeh tacos in the dining hall. And I never ate it. And I totally made fun of it. But little did I know that years later, I’d be a huge fan! Used in traditional Indonesian cuisine, tempeh is made from fermented soybeans; in fact, you can see the intact soybeans in a cake of tempeh. Because tempeh is fermented, most people find it easier to digest than tofu, and it’s a good source of gut-friendly probiotics. Tempeh is one of my favorite plant-based proteins. It’s one of the highest plant-based sources of protein, easy to prepare, and very versatile. In order to make tempeh taste its best, I recommend steaming it for about 10 minutes before you marinate it. This will help remove any natural bitterness, and prepare the tempeh to absorb the flavors from the marinade. For this savory Maple Mustard Roasted Tempeh, we start out roasting the tempeh in the marinade, covering it with foil so it doesn’t dry out. Tempeh can sometimes be dry, so this helps keep the tempeh moist and flavorful. Also, this is when you want to use an organic product. Most of the soy used in the U.S. is genetically modified, so you definitely want to look for the USDA organic label on your tempeh. This tempeh recipe is great for anyone who is dealing with high cholesterol issues (translation: needs to eat less meat, and more plants), and loves ribs and barbecued chicken. Or for anyone who just loves classic barbecue flavors of maple syrup and mustard. Make a batch early in the week, and try using it in a couple of different meals throughout the week — just as you’d use leftover chicken. Ready to try the recipe? Great! Just click on the green link below.